Quality - L.R. 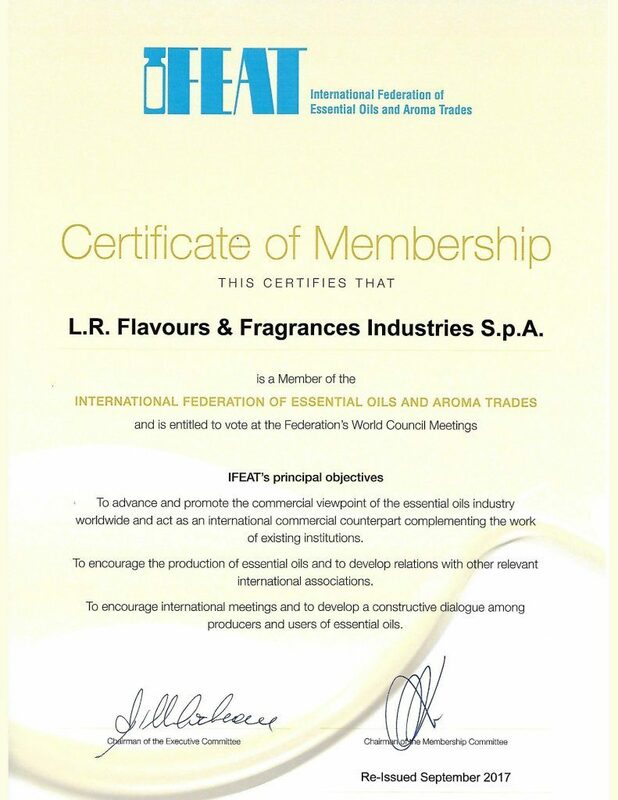 Flavours & Fragrances Industries S.p.A.
L.R. 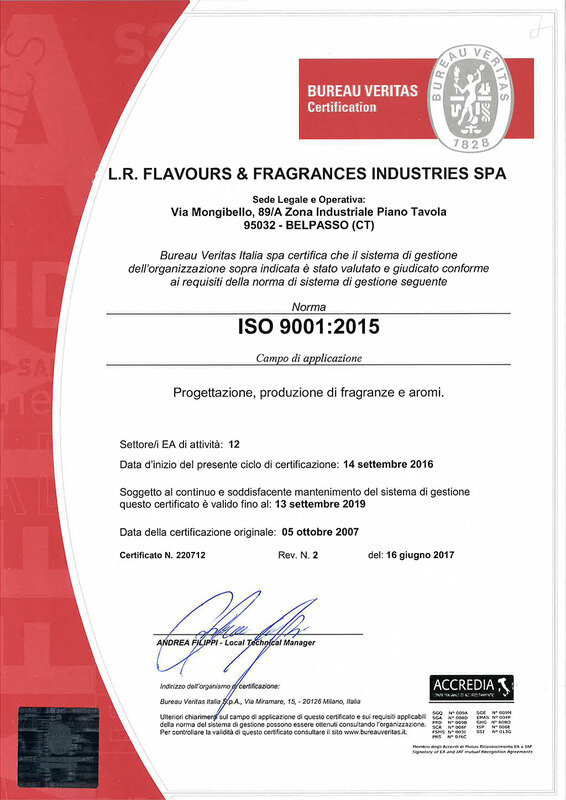 Flavours & Fragrances Industries S.p.A. firmly believes that the creation and the implementation of a Quality Management System (UNI EN ISO 9001:2015) represents a guarantee element. Through the accurate implementation of the above-mentioned processes, the system pursues the main aim of the company: the complete satisfaction of its customers. After obtaining the ISO 9001 certification in 2007, the L.R. Industries S.p.A. is constantly updated by specific rules of surveillance and renewal so as to achieve a process of constant improvement.